The evening was delightful. The decor is quite nice, clean and simple. A unique cactus wall separates the restaurant from the boring, noisy Ventura Boulevard “scene”. They have a vegetable garden in the works. The restaurant is actually “moving” right next door to expand from 40 seats to 85 next week with the current dining area becoming a large bar and lounge operation. You will still come in the main door at 11616 Ventura Blvd. Studio City. It took a while for me to realize that my new iPhone would work as a camera with good quality pictures. (not as good as my regular camera, but decent.) As a result, I didn’t get a photo of every dish. I brought my own wine and shared with the chef, owner Arnon Raphael and waiter Chris [a fellow Pittsburgher and rabid Steeler fan]. The pairings worked out quite well as my son had advised what to select. He was right on. The Fried Baby Artichokes with sauce roulade were perfect. I love artichokes, but often the baby artichokes fried are too grainy and not enjoyable. Adam’s were perfect, great texture and wonderful flavor. Baby Beets with tangerine and goat cheese [a gift from Adam]…perfect. 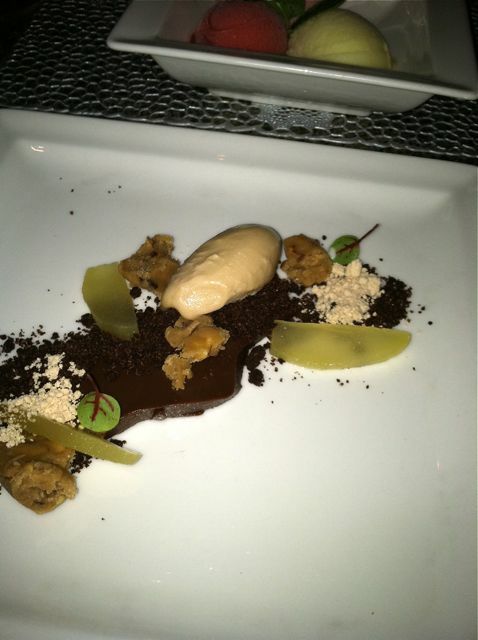 I don’t think I would have ordered this but it was terrific. Big beets that had wonderful flavor with the cheese and tangerines a great combination. 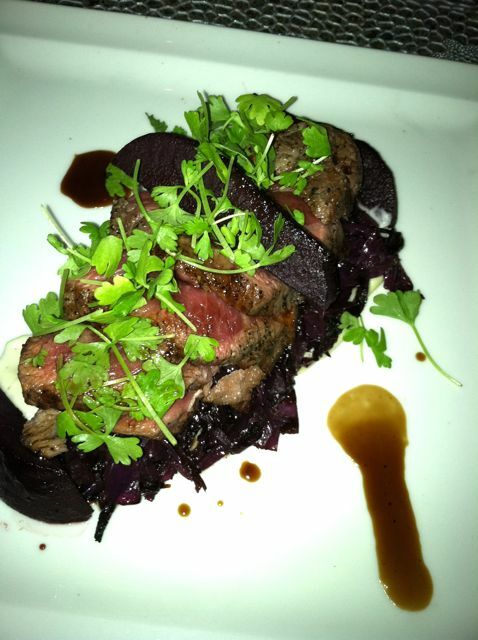 Eye of Ribeye, celery root puree and braised red cabbage…excellent flavor. This is not an Adam dish. It is a “left over” from a previous chef. He’s working on his own dishes and gradually getting them on the menu. But, the rib eye was excellent. 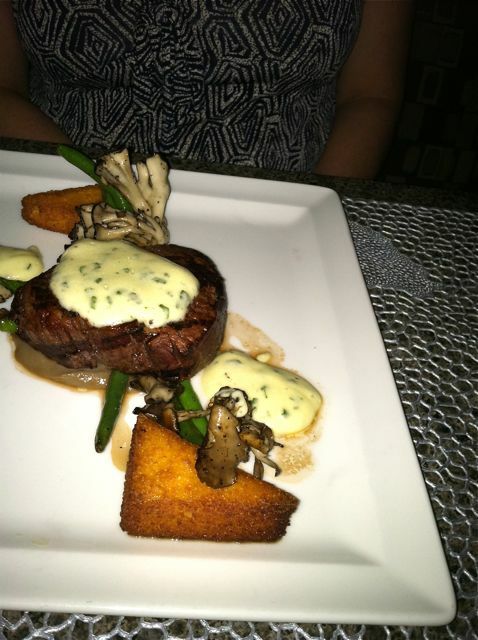 My companion had filet of beef, mushroom puree with sauce bearnaise. She loved it. 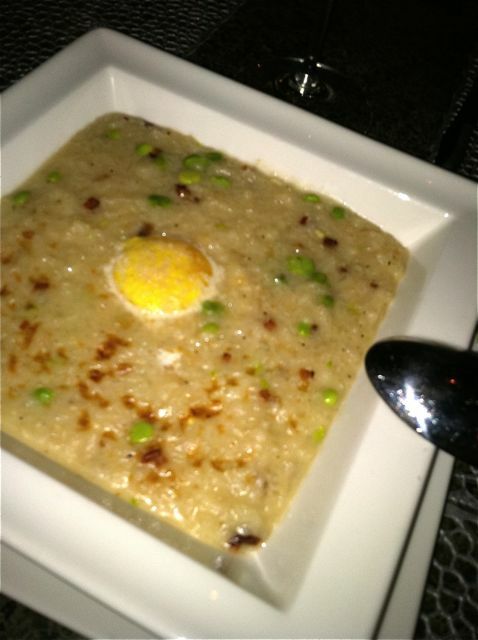 We could not resist the Risotto Carbonara with Black Truffles, Nueske bacon and McGrath farm egg brulee…great deep flavor and by splitting we had just enough. I’m glad we did not miss this. 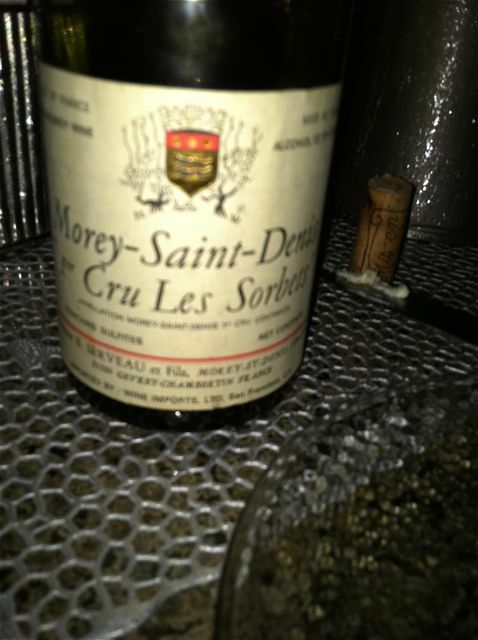 With the big red Burgundy the flavors and pairing were perfect. 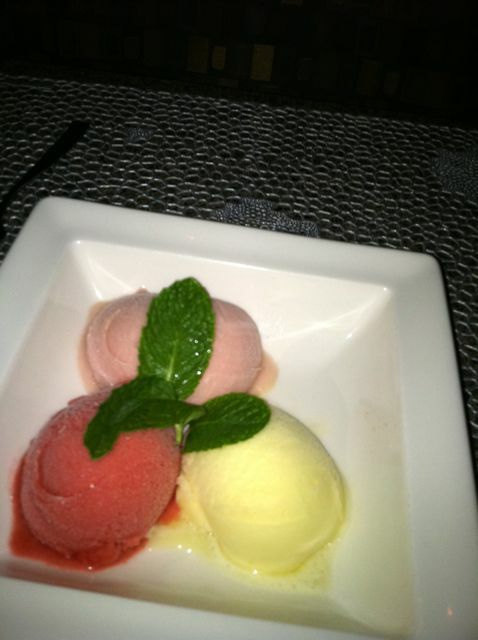 Sorbets — Both were a great ending. 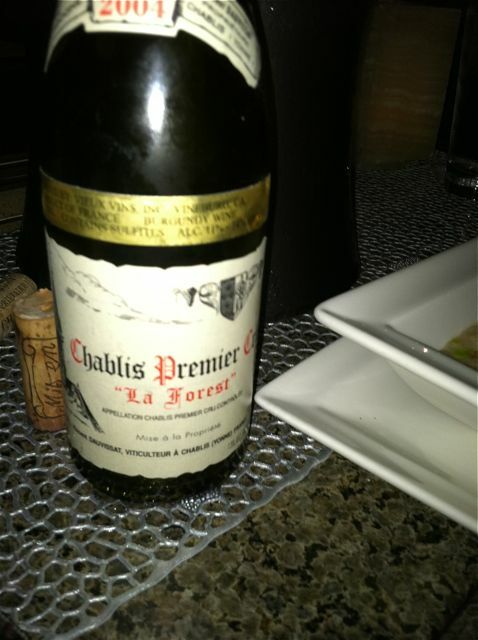 A thoroughly enjoyable experience in a delightful setting served perfectly. We will go over the hill again in a few weeks to see the new room, wine room and enjoy another dinner from Chef Adam and the hospitality of Chris the waiter and Mr. Raphael.